In the empowerment and spiritual transformational coaching I do with empaths we don’t focus on the relationship between empaths and narcissists and its dynamic. And there’s a good reason for that. In reality, the situation that an empath has in their life when they’re involved with a narcissistic person is not about the relationship itself or about the other person, why the narcissist is the way they are, why they do the things they do or why they hurt the empath so much. That situation is only about the empath and the relationship they have with themselves. And this is where the focus needs to be. A relationship empath-narcissist can be very intense and hurtful, some even traumatic, so it’s easy to understand why an empath focus so much on the relationship with the narcissistic as if that’s what is important, or trying to “fix” it desperately. 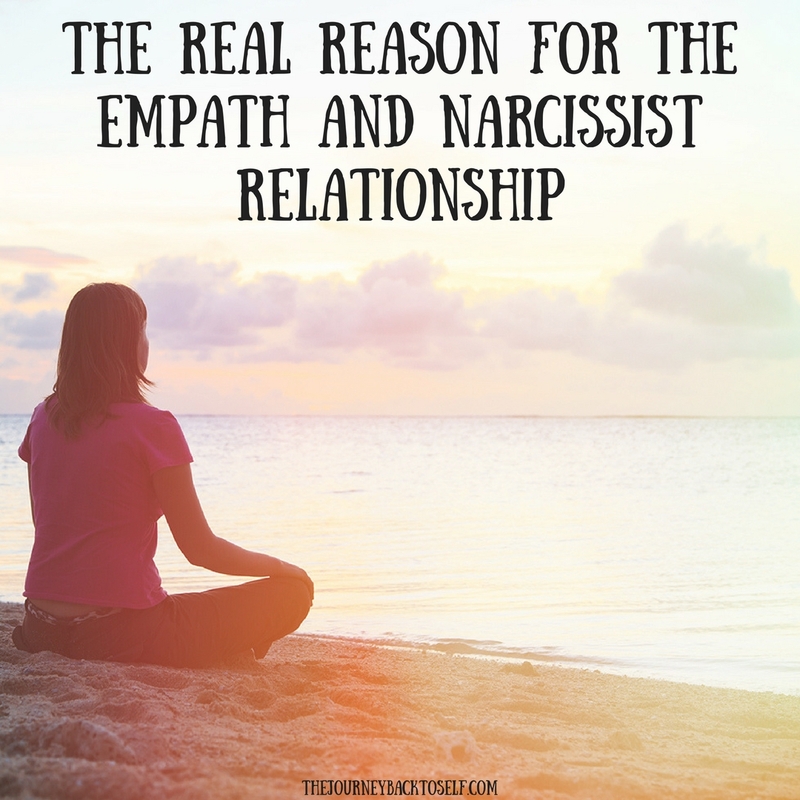 It comes to a point on a empath’s journey that they start having the awareness that the relationship with the narcissist and its dynamic is only a reflection of how they feel about themselves. That it doesn’t matter how the narcissist is, what they do or say, what really matters is the relationship with ourselves. It’s about their self-love, about their self-worth and about the need to go within inside themselves and connect with their inner power, and therefore, stop giving their power away to the narcissist by accepting to do and say things that make the empath feel bad. I’ve been there myself so I know how hurtful it can be being involved with a narcissistic person in any kind of relationship, being romantic, with parents, friends, co-workers, clients, etc. But when an empath “awakes” and starts having the call to find themselves and stop identifying with the relationship with the narcissist, that’s when it all changes. There’s only one reason why an empath gets involved in a relationship with a narcissistic person and why it hurts so bad. A narcissistic person is someone who has built a fake persona. They are weak persons who are completely scared of going within and finding who they really are. They completely operate from their ego and through that fake persona, they appear to be a strong person with complete control over their lives, which is a complete lie. They basically are co-dependant persons who feed on other people’s energy and emotions. And the disempowered empath who do not put their well-being first and has this call and urge to help others is the perfect target to offer that supply. It is indeed a toxic dynamic and a complete lie. The truth is, the need to “fix” the other, to “help” the narcissist, has nothing to do with love. This relationship and dynamic comes from the ego, not from the heart center. We cannot help someone who doesn’t want to evolve and grow. A narcissistic person believes they are perfect as they are and have no intention of changing. They are in a completely different journey from the journey of the empath. And you know what? That needs to be accepted. Empaths are not here to help anyone that doesn’t want help because that comes from a lack of self-boundaries and that is also taking other people’s power away. Everyone is capable of changing and evolving, but if someone doesn’t want that, we need to accept it and move on. And the emphasis here needs to be on “move on”. We need to shift the focus to ourselves and our inner journey. But, the narcissistic person is doing something that the empath can even feel grateful for later on in their journey: is holding a mirror for the empath to see where they need to work in themselves. As the narcissist avoids going within themselves, the empath is in the same vibrational place. That is why they are a vibrational match to each other. An empath who is is this kind of relationship is someone who is also scared of going within and is avoiding facing their darkness and doing their inner work, so they focus on the relationship and in fixing the external, the other, which is a never ending frustrating job because that will never happen. Some empaths are so deeply involved in this dynamic that they completely identify themselves with it, with the relationship. It becomes their identity, like they have to prove something to others and to themselves. That is why although being in this type of relationship hurts like crazy and can leave deep wounds, they keep going and have a lot of resistance to see the truth. It’s like they fear losing their identity. But that identity is just a lie. Because the truth is, all empaths are beautiful and worthy and perfect as they are at all times, despite what the narcissist might say to them to keep them hooked. When an empath awakes to the realisation that it was never about the narcissist or the relationship with them, but is in truth about the relationship with themselves, that’s when they can become responsible for how they feel and how they live. They start to look within and question why are they giving their power away to the narcissistic, why are they compromising their well-being every single day and why are they tolerating being treated like sh**. They also start questioning why are they trying to fix someone who doesn’t want to be fixed and just wants to endlessly feed on their energy. When the veil is lifted, there’s no way back. When the empath starts their journey of connecting with their inner power that is already inside of themselves, start facing their darkness in the eye and releasing everything that doesn’t serve them, the relationship and dynamic with a narcissistic person is no longer needed. The purpose has been served. That is why at some point in this empowering journey of an empath, the relationship(s) with narcissistic people will completely stop. Because an empath is raising their vibration, transmuting their darkness into light, and does not give their energy away anymore to feed someone else’s ego. There’s no supply anymore, so the narcissist has to go somewhere else. Good riddance I say. The empath also realises at this point that they can only help other people who are genuine and ready to help themselves first. That want openly to do their inner work. Because we live in a you first Universe and our well-being comes first at all times. It’s a very different vibrational place to help someone who genuinely wants and asks for our help and is ready to do their inner work from helping someone who doesn’t want any help and just wants to feed on our energy. The first one comes from a high vibrational frequency of love and connection. The second comes from the illusion of the ego. What can you do if you are in this kind of relationship now? If you are an empath who is in a relationship (or several) with narcissistic people, the first thing you need to focus on is that now you have the awareness of why that is happening. You are not here reading this by chance. You are here reading this because you are ready to move on to a much better place in your life. You as a soul is ready. 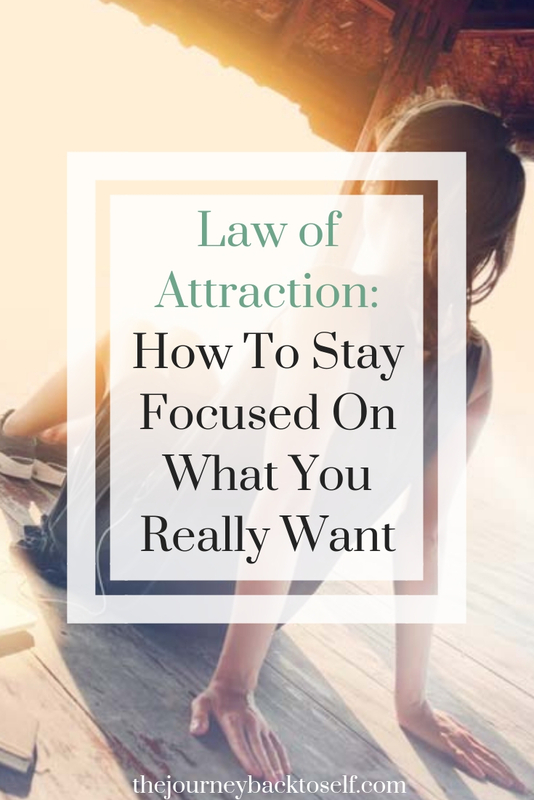 So, focus on that awareness and set up the intention of wanting to change your life for the best. Ask for help from the Universe. This will put the wheels in motion and things will start to change soon. Try to shift the focus from the narcissistic person and the relationship and into yourself. YOU are the most important person to yourself, so focus on feeling good at all times. Feeling good is your birth right. If you are in a specific situation with a narcissistic person and feeling awful, leave the situation. Start saying no to what you don’t want or makes you feel bad. When you say no to something you don’t want or makes you feel bad, you are saying yes to yourself. And that is powerful, that is where your power is! You can also leave the situation all together or just set up the intention that you do not give your energy anymore. Because you simply don’t want it, no explanations needed. No is a complete sentence. If the narcissistic person reacts badly, that’s their responsibility, not yours. Let them do their tantrum and leave them alone to deal with their own stuff because you have to go elsewhere and feel good instead. Of course this will take practice and conscious awareness from your part, so be gentle with yourself. 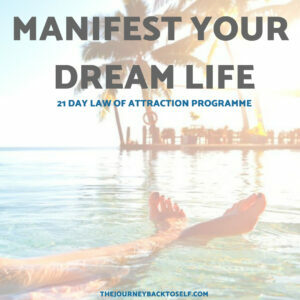 If you feel you have had enough of this type of situations and you are ready to do your inner work and shift into a different place in your life, you can always reach out to me. I offer a 1h complimentary session, so please click here to book, and feel free to contact me because this is my life purpose. I have been there myself and I know how helpless and broken inside one can feel from this type of toxic relationships. 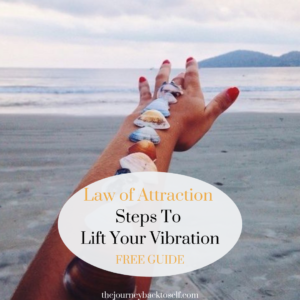 But they are NOT who you are and they are only experiences so you can move on into a higher vibration and consciousness, and into a much better place in your life, where you can have soul connections from the heart that are healthy and based on true love. Because you deserve to be happy and empowered, and the world needs the beautiful soul that you are. This is true. I found myself in a situation like this.. And it pains me, to have had to be nasty to prove my point. Oh my goodness Carla. “You are not here reading this by chance ” I absolutely know this to be true and am hugely comforted and excited to think that this is an indication (confirmation ) my soul ” IS ” ready. Thank you. 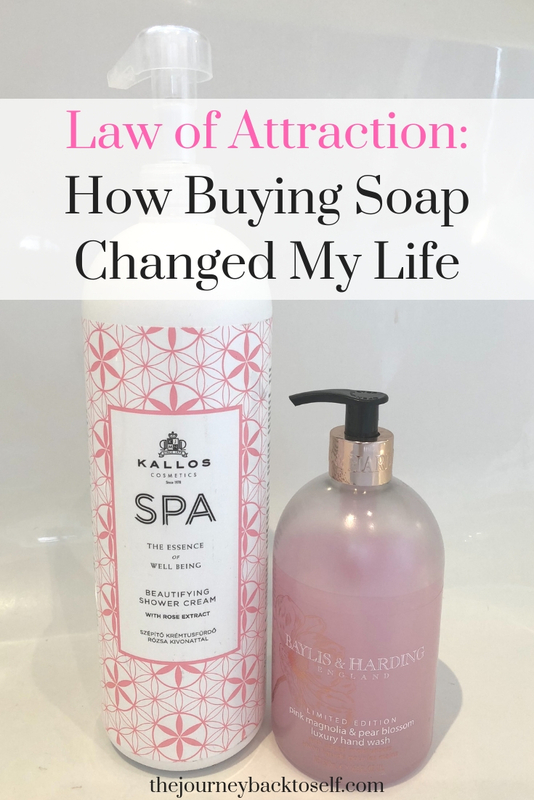 Thanks for this article, Carla! I went through complete hell off and on with a narc for almost three years. I would leave him a million times but he would stalk and bully me so I couldn’t. He was violent. I had to move twice to escape him. He did things to me worse than all of my other abusive family members combined, which was pretty bad. After I left him, I thought for sure I was healed and knew better after 4.5 years of hard inner work… but no, another abusive narc spotted me out from the crowd again, and laid on the abuse within 1 hour of our first date. I saw the red flags for the 2 days I spent with this guy, but I naively told myself he wouldn’t do it again. After the end of the 2nd day, I seriously thought this guy was going to hit me. I kicked him out of my car and went to the beach, cried for hours, and went into the worst depression of my life, gaining 30 pounds. How is this something I would ever attract into my life? I know the inner work is never-ending, but boy have I done it… alone for years and years, looking within. Still, I attracted this sociopath, as well as two others around that time. It was a good but bittersweet lesson all around, but I so done with these people, and I want to do whatever it takes to get on a higher vibration than this. Hi, I want to sᥙbscribe for this website to obtain most up-to-date updates, ѕo ԝhere can i do it pleаse help.